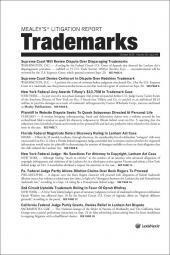 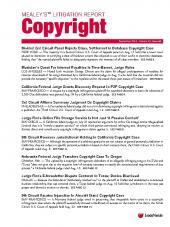 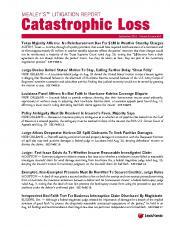 Monthly newsletter tracking employment litigation. 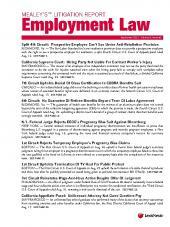 Mealey's Litigation Report: Employment Law covers all aspects of employment law, including various types of discrimination, employee and employer rights and responsibilities, employee benefits, safety and health, wage-and-hour and other compensation issues, workplace harassment and military leave. 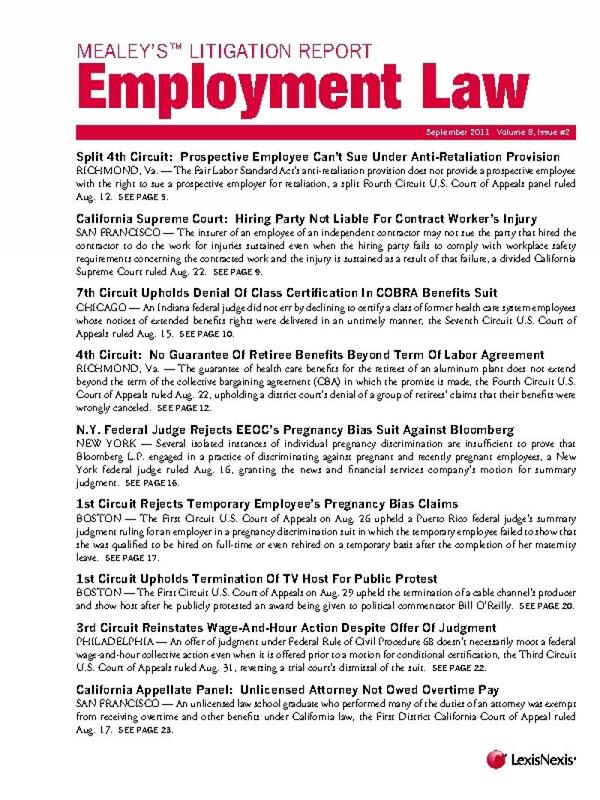 The report also covers rulings that interpret workplace regulations such as the Americans with Disabilities Act (ADA), the Fair Labor Standards Act (FLSA), the Family and Medical Leave Act (FMLA), the Age Discrimination in Employment Act (ADEA) and the Occupational Safety and Health Act (OSHA), updates on legislative activity, appeals in the U.S. Supreme Court, and news from regulatory agencies.